As professional tailors, style and fashion is part of our DNA. So we’ve been keeping a lookout for what fun and fashionable things we can look forward to in 2018. Here are some of the top clothing trends that we are excited about. Wide-leg pants are the trouser trend that’s here to stay through 2018. From wide-leg cropped trousers, to high-waist paper-bag pants, you’ll see plenty of these cool and comfortable bottoms throughout 2018. Another trouser trend to look for: corduroy pants in all colors and styles will make a comeback this year. Most agree that the embellished shoe trend that’s dominating footwear this year was started by actress Mindy Kaling. Ms. Kaling posted a photo on Instagram of her wearing Gucci’s New Ace faux pearl studded leather sneakers and the fashion world fell in love. And it is easy to see why: sneakers embellished with diamonds, pearls, gems, fur, feathers, glitter and all kinds of glitz and sparkle combine high-end style with low-maintenance comfort. And while Ms. Kaling’s sneakers retail for $1,100, this comfortably cute look is not out of reach. Bring us your sneakers and your favorite fun embellishments and we can create a custom look for you that has all the style at a fraction of the cost. If a trench coat is not part of your wardrobe in 2018, then you are missing out. A classic style staple, a trench is the perfect way to update your work wardrobe. For social occasions, try pairing a trench with a dress to add a masculine finish to a feminine look. Basically, a trench coat is a fashion investment: it will go with anything and everything. 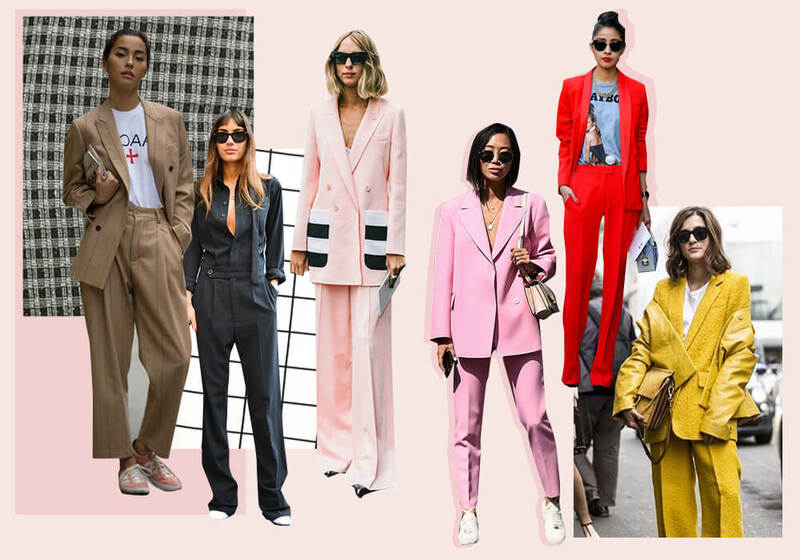 Suits have been making a return on the men’s and women’s runways for a few seasons now, but as Vogue magazine notes, designers like Tom Ford, Kenzo, and Martine Rose are making the look decidedly un-corporate with Crayola-box colors for both men and women. Fashion blog Missguided notes that beyond nontraditional colors, unusual patterns are making a mark. Checked suits where hot in 2017 and will be even hotter in 2018. For extra credit style points, pair your suit with another one of 2018’s trendy items: a graphic tee. There are so many ways to style a suit; it’s one of those versatile pieces you can wear again and again. What if your jacket or pants don’t have the tailored profile and styling of today’s suits? Don’t worry, we can take your outdated suit and transform it to a runway-worthy style piece.